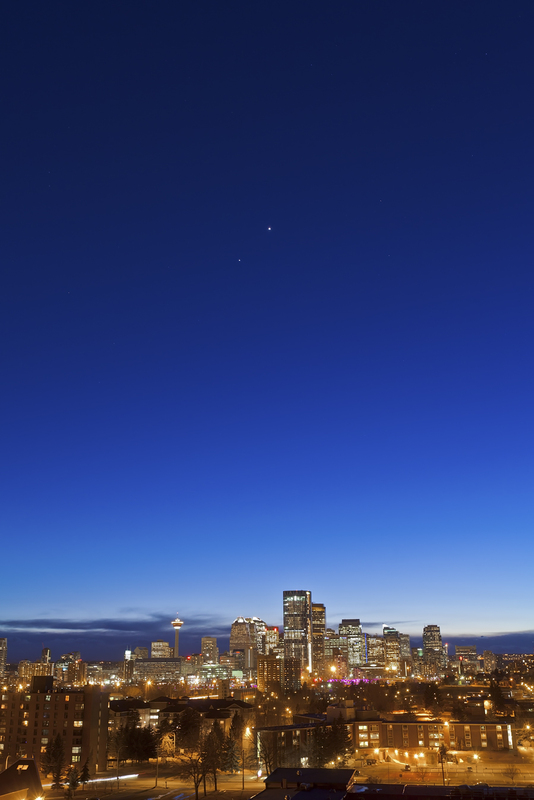 For my continuing series of Venus-Jupiter conjunction shots, on Wednesday night I stayed in Calgary and shot the planets over the city skyline. Here Venus and Jupiter shine in the clear evening twilight over the downtown core of the city, now dominated by the new Bow tower. I didn’t have to venture far for this shot, as the best vantage point and angle for framing the planets over the city was the top of Tom Campbell Hill, right beside the TELUS Spark science centre where I work. 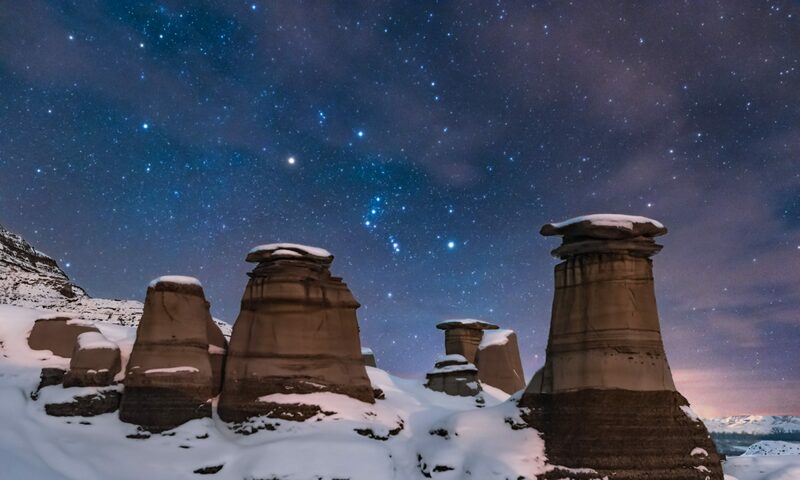 We’ll see if the clear nights continue. But it’s been a good run all this week. The last few blogs show the results from each night’s shooting since Saturday. Previous PostPrevious Mountains, Clouds and Planets, Oh My!